Saoirse Ronan Do U Like Saoirse? 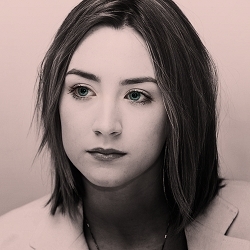 I am a big fans from the Ireland actress named Saoirse Una Ronan (April, 12th 1994). Her acting is very natural and i like it. I saw her in Atonement, City of ember, The lovely bones, The way back, and Hanna. She can play many different roles in every movie. Her face is very beautiful. Like an angel. I like her eyes. So pretty. She is one of the most beautiful actress for me. I am curious, who is her boyfriend? the media never talk about that. You have great taste! I've seen all Saoirse's films. I think she is the best teen actress in the world. She never talks about boyfriends. She keeps that part of her life private. I agree with you, she is so beautiful. Can't wait to see more of her films.